At Barbecue Bazaar, we proudly stock a broad range of high-quality outdoor fridges from the world’s leading manufacturers. Our products are ideal for indoor and outdoor use, having been independently tested for quality and durability. Plus, with a range of sizes, styles and accessories to choose from, we can cater to any requirement and budget. The Beefeater and Gasmate brands are synonyms with excellence in the outdoor cooking equipment industry, and their outdoor fridges are widely considered to be among the best available. Made with the highest grade materials and exceptional craftsmanship, our top-brand alfresco fridges guarantee to stand the test of time, and they come with fantastic warranties for your peace of mind. If you’re trying to create the perfect outdoor cooking area to beautify your garden and enhance its practicality, then you don’t need to look any further than Barbecue Bazaar. 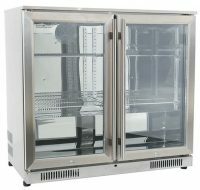 We stock outdoor fridges from leading manufacturers, promise speedy deliveries, offer a range of payment options and provide an unparalleled level of customer service to ensure 100% satisfaction. Plus, we aim to be Perth’s most cost-effective supplier, and we won’t be beaten on quality. We supply our customers with fridges that are unrivalled regarding durability, which is why we work with manufacturers that have already earned a global reputation for excellence. 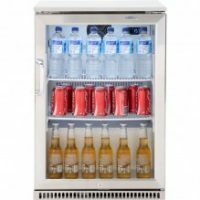 Plus, all our outdoor fridges in Perth utilise the most advanced technology, are resistant to damages and corrosion, and are compliant with the most stringent international standards. Provided you safely store your Perth alfresco fridge under shelter, you can keep it outside all year-round regardless of the temperature. 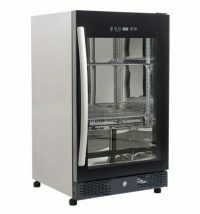 Beefeater, for example, tests its outdoor fridges in temperatures up to 43C, and thanks to a stainless steel finish, you can count on them to remain in top shape for years without degrading due to the elements. Our alfresco fridges aren’t just built to be long-lasting and reliable; they’re made to enhance your garden’s appearance and will prove to be a focal point in your outdoor kitchen. Whether you’re looking to design an alfresco kitchen that the family will adore or need the perfect product to bolster the aesthetics of your outdoor bar, we have an ideal fridge for you. Thanks to having heated glass doors, your guests will never have trouble viewing your excellently displayed beverage options. The auto defrost feature means you don’t need to take any action to keep your drinks display looking pristine and don’t have to rely on your fridge’s contents to make it look visually pleasing. 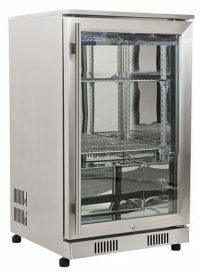 Many of our outdoor fridges come with a brushed stainless steel finish, which bolsters their aesthetic appeal as well as makes them extra durable. Your alfresco fridge guarantees to complement your outdoor kitchen’s overall image, and it’ll be right at home alongside your other modern amenities. Contact our professionals to learn more about colour and design options. At Barbecue Bazaar, we have all the amenities and cooking equipment you require to complete your outdoor kitchen to a high standard. 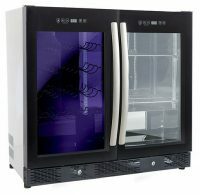 We supply superb quality outdoor fridges to residential and commercial clients in Perth, and they’re perfect for keeping food fresh and drinks deliciously chilled. However, alfresco fridges are just one of our specialities. 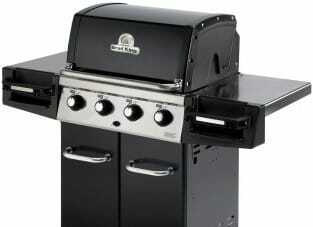 Whatever you need to build your outdoor kitchen, we have it here at Barbecue Bazaar. We’re more than happy to offer recommendations and advice based on your particular requirements, and if you’re looking for something in particular, our professionals will gladly point you in the right direction. We know that you want to get your hands on your outdoor kitchen’s final touches, such as alfresco fridges, sooner rather than later, which is why we offer flexible payment plans, including buy-now, pay-later with zero interest. If you don’t have enough free time in your busy schedule to visit our stores, you’ll be glad to know that we offer a fast, efficient and affordable delivery service. 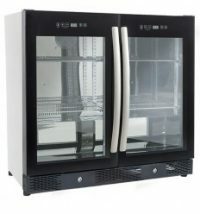 Plus, we can supply pre-assembled outdoor fridges so that nothing delays the completion of your alfresco kitchen. At Barbecue Bazaar, we stock products from the leading manufacturers, sell them to you at unbeatable prices, offer convenient and reliable payment and delivery options, and cover our outdoor fridges with fantastic warranties for your peace of mind. 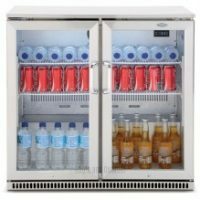 Browse our selection of alfresco fridges in Perth today, or contact us on (08) 94585724 with any questions or for advice.